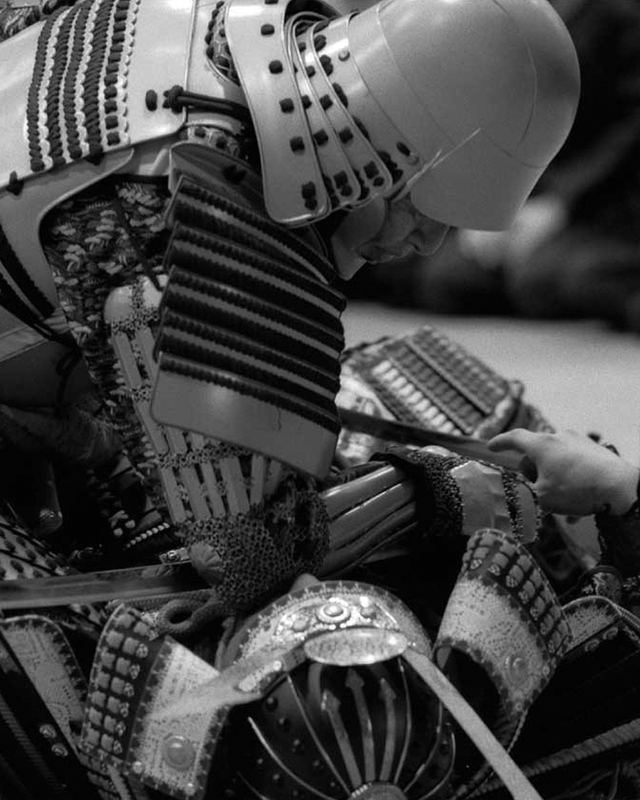 In the martial arts there is an essence — a feeling which evades concrete explanation and is beyond mere technical skill. Performance at this intuitive level is beyond description. So how could a master martial artist teach this indescribable feeling? Masaaki Hatsumi was born in 1931 and raised in Noda City, Chiba Prefecture, Japan. His teacher, Toshitsugu Takamatsu, trained him and appointed him Soke (head instructor) of nine martial schools. Students travel to Japan from around the world to train with him at his dojo where he mentors them physically, verbally, and with brushwork. These challenging (and occasionally excruciatingly painful) lessons provide an opportunity to taste this essential feeling. At the dojo, Sensei makes paintings for students as gifts. With these, he communicates directly — transcending linguistic and cultural barriers — exactly as he does with his physical arts. Until recently, students had frequent opportunities to see Hatsumi Sensei’s paintings, but the general public did not. This page, and our publishing projects, are dedicated to sharing Sensei’s paintings and calligraphy more widely. In 2013 we published “Masaaki Hatsumi: Dojo Art.” This book combined action photos shot at the dojo with a sample of the works he painted for students as gifts. In 2018 we continued to share Sensei’s Dojo Giga paintings with the book, “Masaaki Hatsumi: Dojo Giga | Heaven.” We intend for “Heaven” to be the first of a three volume series. Please watch this page for project updates. 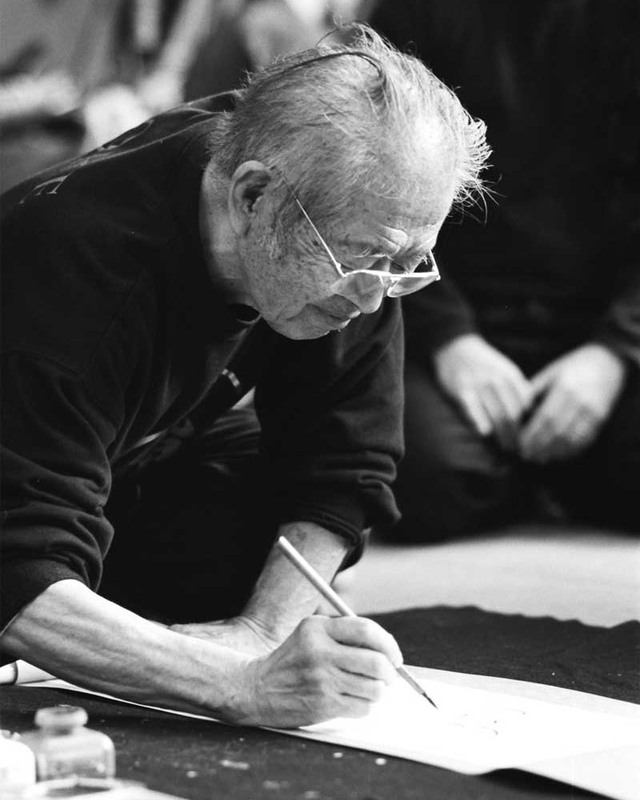 In 2001, Masaaki Hatsumi traveled from Japan to Washington D.C. to teach a martial arts seminar. While there, he met with Bruce Helander to discuss his art. In this video we illustrate excerpts from the interview with photography from the book, Masaaki Hatsumi: Dojo Art. Join us to learn more about Masaaki Hatsumi’s art and his purpose. More about Bruce Helander is on his site and on Huffington Post. Would you like to write a book review or publish an article about Masaaki Hatsumi’s arts? Please use the contact form. I’d be happy to help.